Nature is a wonderful source of inspiration. I brought in seashells for the class to observe. The children put the shells against their ears and listened to the sounds of the waves. They admired the delicate beauty of the shells. They smelled them and shook them a bit, listening for clues about the soul of a shell. Next the students brainstormed a list of words to describe the shells’ properties, such as “smooth, pointy, and colorful.” Their lists also included any other ideas they had about shells, such has “hermit crabs live in them” and “they live in the ocean.” We discussed the different ideas generated, and I created a word bank on the chalkboard. 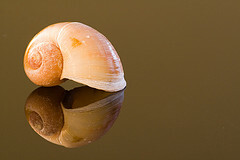 Each student created a poem that personified the shell. put me in a big red pail. Don’t you want to be a shell?